Speaking at the 2018 AMICE Conference, Mark Willetts talked about how Mutuo has pursued changes to legislation in the United Kingdom and Australia, which facilitate opportunities for mutuals to raise the capital needed for growth and innovation, whilst preserving their mutual identity. Mutuo is developing a business sector policy Guide for Consumer Co-operatives Worldwide. This will be an opportunity to address regulatory, legislative and policy barriers to the development and growth of consumer co-operatives around the world. Its principal use will be to develop coherent policy positions that can be used at a global, regional and national level. Detailed survey work of CCW members will begin shorty and we look forward to engaging with members to identify the priorities of the consumer co-operative sector. The document builds on Mutuo’s previous policy work in producing the International Co-operative Alliance Global Manifesto in 2017. The business sector policy guide will be published in summer 2018. 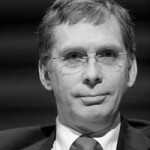 Consumer Co-operatives Worldwide (CCW) unites, represents, and defends the interests of 26 national organizations of consumer co-operatives around the globe, which represent 75 million individual members, and which register a combined total annual turnover of more than 500 billion EUR. Co-produced with Mutuo, the Global Policy and Advocacy Guide was designed for the International Co-operative Alliance and its members to help strengthen their advocacy efforts. 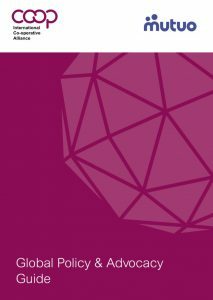 The policy guide draws together case studies of good practice from various regions and suggests methodology and communications protocols that can help to grow a consistent global approach to promoting co-operatives. Mutuo worked with the International Co-operative Alliance and its members over a nine month period to identify the movement’s policy priorities and the challenges it faced in working with national governments. The consultation process ensured that the strongest practice could be shared globally, to help co-operatives communicate their value to policy makers, legislators and regulators. The Australian Federal Treasurer, Hon. 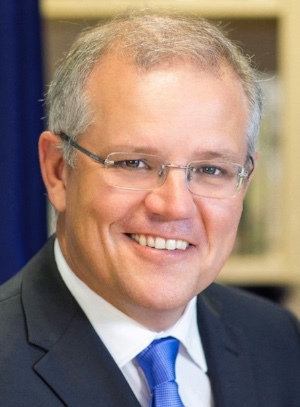 Scott Morrison MP, has today announced that the Australian Government will legislate to create a better business environment for co-operatives and mutuals. The announcement means that co-operatives will have the potential to access new and additional capital for long term business investment that benefits all Australians. 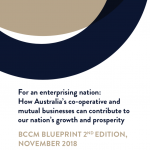 Today’s news is the result of two years painstaking work from Mutuo in collaboration with the Australian Business Council for Co-operatives and Mutuals (BCCM) and fifteen great Australian Mutuals. 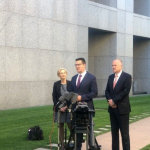 The decision comes on the back of the Federal Senate Inquiry into Co-operatives and Mutuals in 2016 and accepts in full the recommendations of the Hammond Review to reform the business environment for the sector, which has been published today. Mutuo’s Peter Hunt said, “This is a huge day for co-operatives and mutuals across Australia. Throughout this project we have sought to champion a better business environment for the sector and today’s announcement is a recognition of the critical impact of our sector on the wider Australian economy. The proposed new capital instruments are similar to those that have been developed for Building Societies and Mutual Insurers in the UK and form part of a global Mutuo campaign to give co-operative and mutual business more financing options and greater opportunity to compete.